John’s love of diving started on a 10 day break in Egypt. After returning back to the UK, a life of construction work just didn’t cut it anymore. Within 6 months of getting home John had sold all of his personal belongings to fund a 3 month Divemaster program in Cozumel, Mexico. The thought of going back to a life without diving was just too much to bear, so after the planned 3 months he extended his stay to continue to Instructor level. One thing led to another and nearly 5 years later John still hasn’t quite made it back to the UK yet. His travels have taken him around the Carribean from the Cayman Islands to Honduras before arriving on Koh Tao in September 2015. After jumping from shop to shop for a little, John has now settled in at Roctopus where his cheeky demeanour and infectious passion for diving will have you addicted to the sub culture in no time. Desa hails from beautiful Vancouver, and can be easily recognized underwater by her bouncy blond curls. Desa puts so much love and care into everything she teaches, coming from her background of working in hospitals. She has over 20 years experience as a nurse in Canada, which translates into her compassionate and insightful teaching style. Her passion for both travel and social work has taken her all over the world. After doing HIV research and hospice care in India, she has finally settled in Koh Tao, trading in her nursing scrubs for bikinis. But don’t let those blond locks and doe eyes fool you! In her spare time Desa likes to train boxing, and she can pack a mean punch! 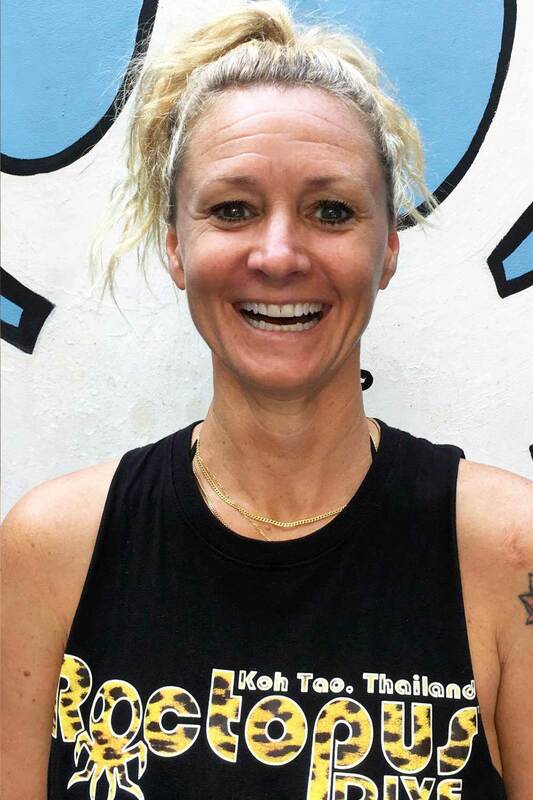 Instructor Keli from Canada has swapped sweaters and snowboards, for bikinis and board shorts! After growing up in Dubai, Keli studied mechanical engineering in beautiful Vancouver. However she decided the engineering life was not for her, and headed to Thailand to discover an underwater life. When she’s not diving, you can find Keli hanging upside down at the flying trapeze! 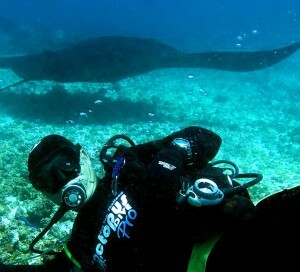 Matt has been diving since 1991, and became a professional in 1998. Always fascinated by the UW world, Matt spent most of his life teaching others to enjoy the oceans and the amazing life found around coral reefs. 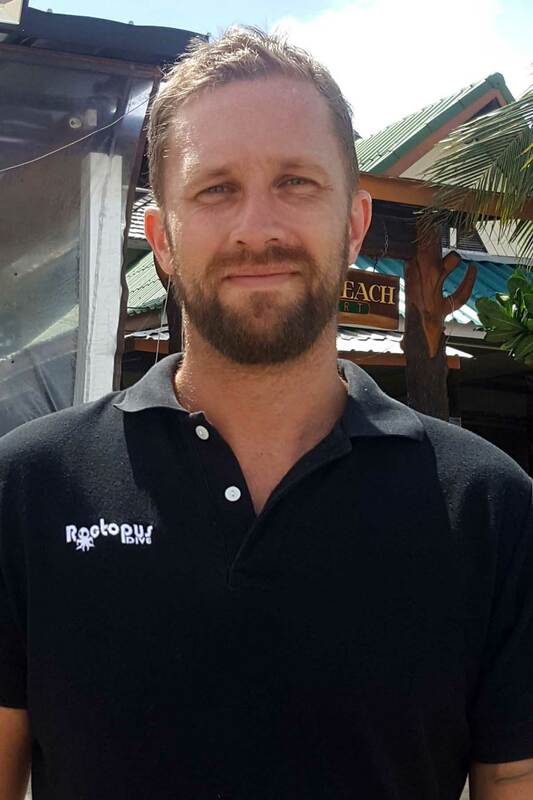 He has worked several shops on Koh Tao, and Roctopus for last 3 years. He loves the laid back but fun and professional attitude and atmosphere at Roctopus. The culture is all about making diving fun, interesting and safe for new divers. When he is not diving he likes to relax on Koh Tao’s many beautiful beaches. On occasion he also DJ’s at some of Roctopus’s epic parties. Barely bigger than a cleaner wrasse but just as nimble underwater, adrenaline junkie Gary spent most of his years sliding on skateboards, snowboards, and wakeboards until his knees fell apart, while working as an award winning private chef in the French Alps and Saint Tropez. His first experience diving was in 2007 in the Maldives and he quickly fell in love with the ocean. Gary came to Roctopus to take a break from the real world and earn his Divemaster and Instructor rating – and just never got around to leaving! Having first visited the island in 2011 after years of travelling it seemed like the perfect place to call home. Gary loves working with the small groups at Roctopus so he can give maximum time and attention to each of his students. In his spare time he enjoys meditation, travelling, being free from the constraints of the real world, and works online for various charities. Born and raised in a small fishing village on the Eastern Coast of Sweden, Erik has spent more time at sea than on land over his lifetime! 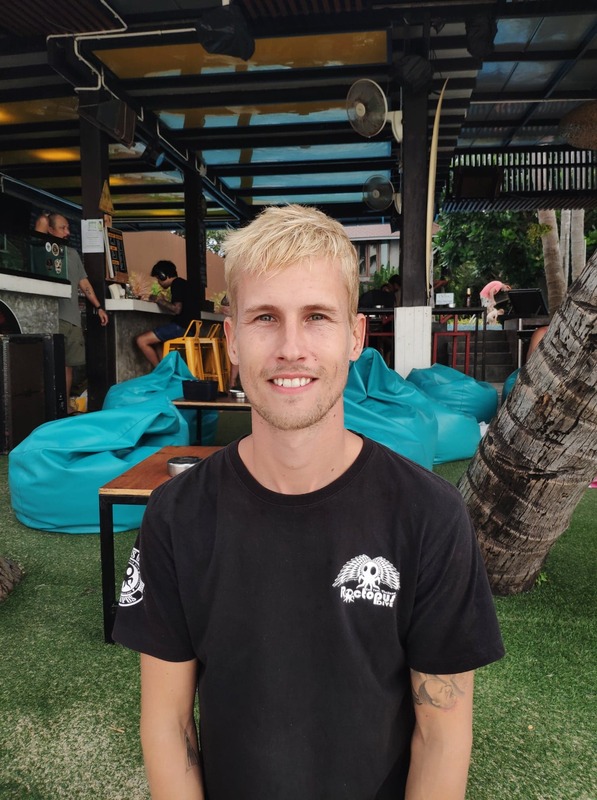 Initially a sailor and a fisherman, Erik began diving in 2010 and by early 2011 he decided to start his professional diving career around the Komodo Islands in Indonesia. 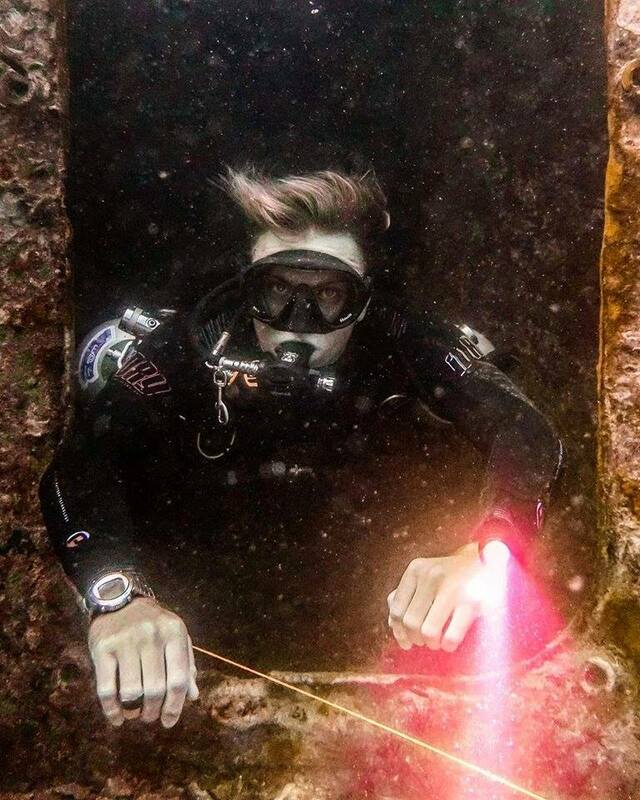 In late 2015 Erik came back to Koh Tao for a “quick visit” and some further dive training. But, as can happen to the best, he got happily stuck and has been living on the island ever since! He joined the Rocotpus team in 2018 after meeting the crea and immediately feeling like part of the family. In his spare time, Erik enjoys psy-trance raves, cooking, and sofa time. Joe is our Roctopus Pro Centre’s Head Divemaster Instructor, responsible for overseeing all professional-level training at Roctopus Pro. Joe came to Koh Tao in the beginning of 2016 to try diving and immediately fell in love with the sport. He went from Zero to Hero: straight from his Open Water Course to completing his instructor certification with Roctopus, and has since devoted his time to building his experience teaching specialty courses and working closely developing tomorrow’s dive professionals. In his spare time, Joe loves boxing, sunset beers, and chasing around his adorable puppy, Ralph. Stephen began his professional diving career in Queensland, Australia. 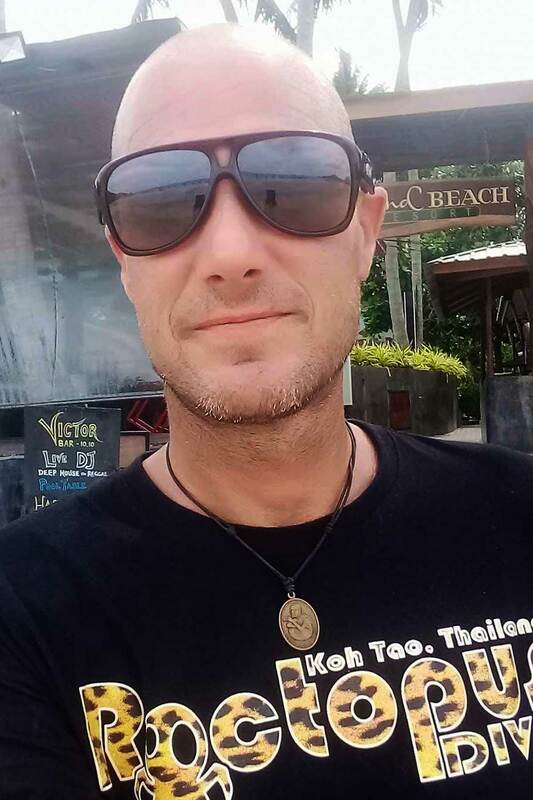 After 2 years he moved to Koh Tao in 1999. In September 2000 Stephen became a dive instructor. Since 2000, he has certified over 1500 divers from beginners to dive professionals. He is now at a dive instructor status of SSI Dive Control Specialist, Respond Right instructor trainer, and PADI Master Instructor / Emergency First Response Instructor Trainer. Outside Teaching diving, Stephen maintains an interest in dive medicine. He trained as a Dive Medical Technician at the Diving Diseases Research Centre in Plymouth (UK) and has been working with the SSS Recompression Network & Badelveda recompression chamber since 2003. 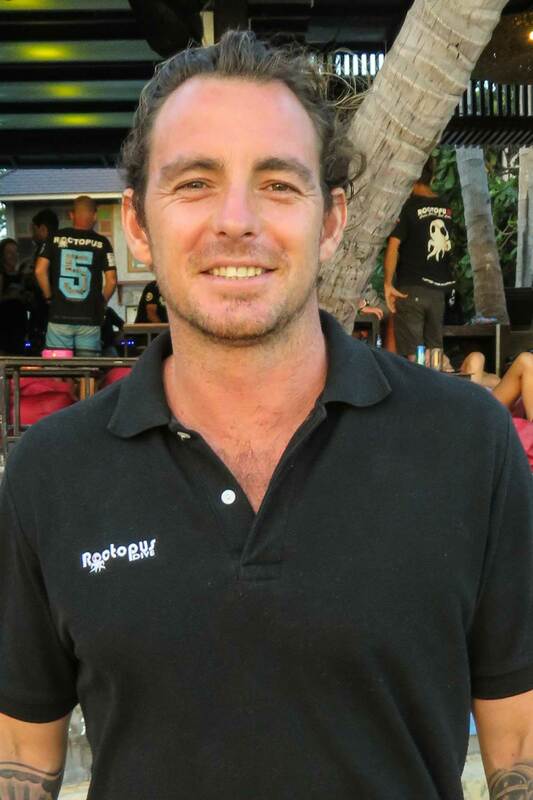 Stephen is the main man on the Island for Dive related injuries covering all 56 dive schools on the Koh Tao. 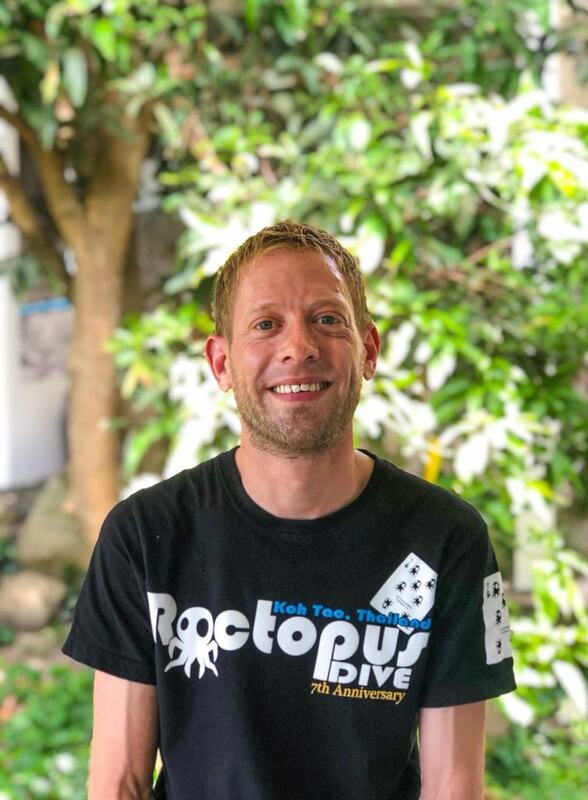 Now at Roctopus, Stephen is directly in charge and runs the professional courses including: SSI Divemaster course, SSI Dive Control Specialist course & SSI Instructor courses / crossovers. 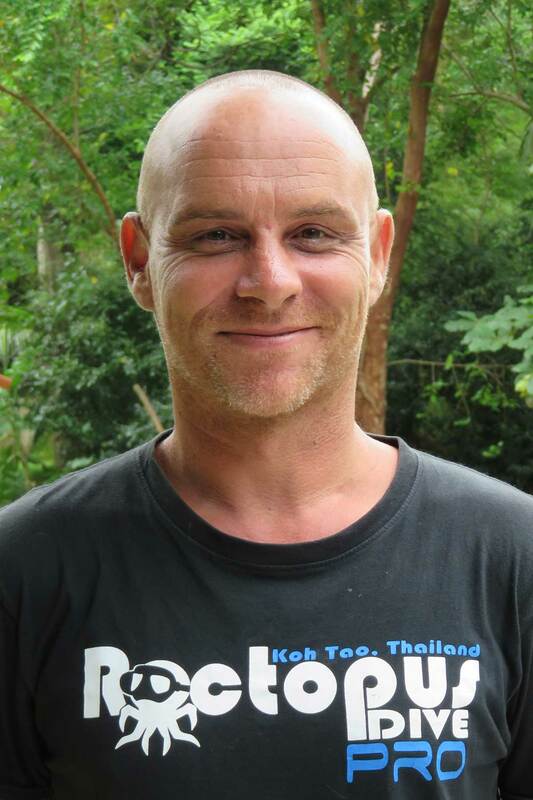 After coming to Koh Tao in 2005, Dave fell in love with the island. He tried to leave, and dived in many locations around the world only to find himself drawn back to Koh Tao. With over 3000 dives on the island and a extensive marine life knowledge he made the Koh Tao Dive Guide, a book that is now used by most dive professionals on the island. 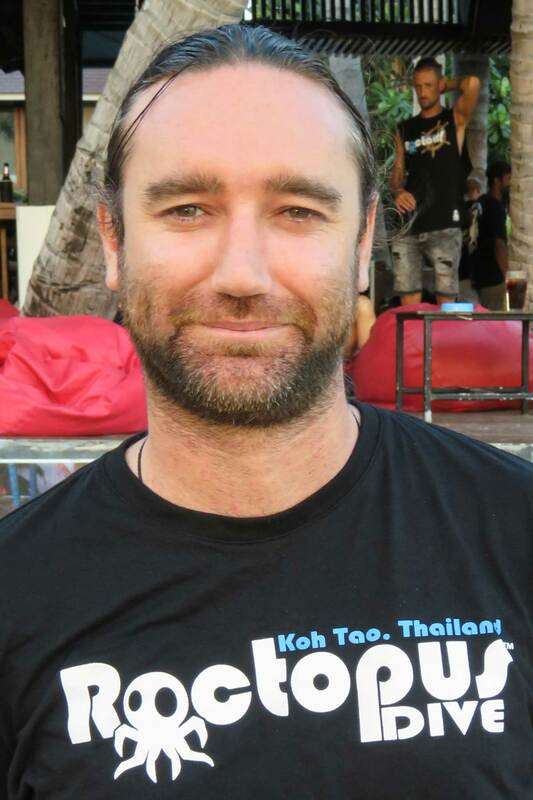 He has a passion for teaching and also takes an active role in conservation projects as a member of ‘Save Koh Tao’. Dave is one of the original founders of Roctopus Dive and is now responsible for all things Roctopus (Branding and Advertising). His other achievements include snorkelling around Koh Tao (taking 14 hours) and surviving a coconut falling on his head. 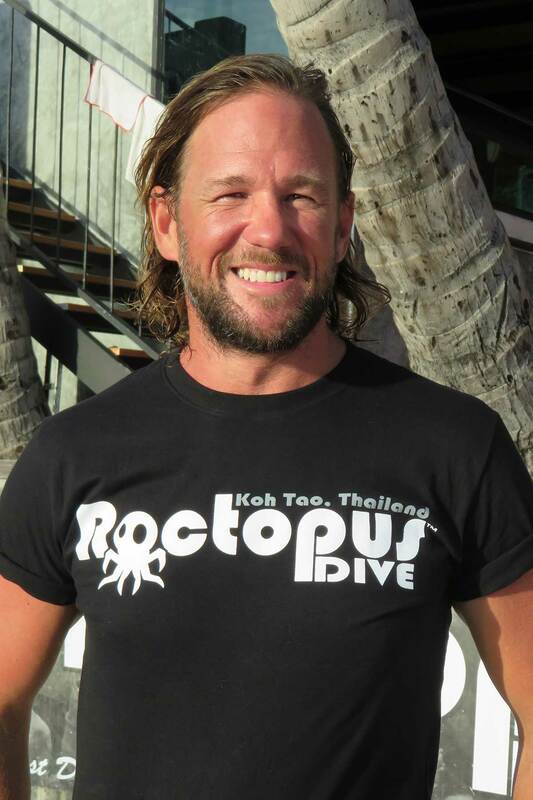 Jay was Head Instructor when Roctopus Dive first opened its doors to the public in 2011. As the shop grew Jays knack for business and love for customer service has seen him take on a more managerial role. Now Jay and the management team are directly involved with the dive operation, ensuring the smooth running and comfort of our divers. Jay will be there to greet you when you walk through the front door and there to give you a high 5 as you leave! Jay has previously worked for a major dive operation on the Great Barrier Reef, Australia and has been involved with dive operations in both Borneo and the Philippines. Phil was born and raised on the island of Guernsey, travelled after 5 years of working in banking. He Travelled around the world for 11 months. In that time did his Open Water course on Koh Tao, followed by Advanced Adventurer. 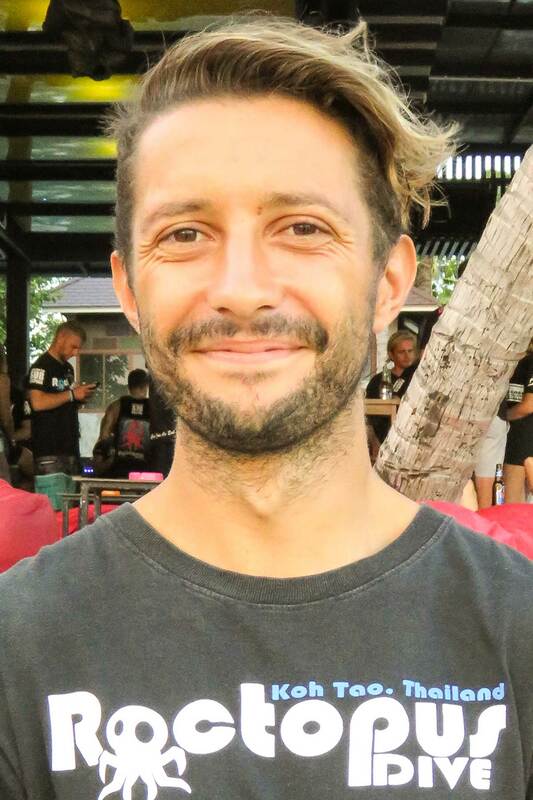 Phil continued to dive on the Great Barrier Reef and in New Zealand, and then decided after that for a career change, he returned to Koh Tao roughly a year later where he completed his Divemaster Trainging and managed a get at job at Roctopus as a Divemaster, after a year of that he became an Instructor and moved on up to one of the Head Instructors. Phil loves the close family feel, the Rocotpus team literally has its mums, dads and weird uncles. Small groups for easy teaching offering a top quality experience where everything runs like clockwork. Island life is all he knows and he believes Koh Tao to be one of the best Islands in the world. 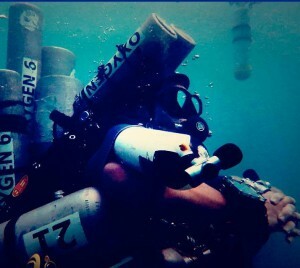 Phil loves diving Sidemount all the way, it is by far his personal favourite set up to dive with. One of his favourite dive locations off of Koh Tao is Green Rock, it has a bit of everthing; pinnacle, wall dive, deep, drift, swims throughs, lots of fun. It is a known fact that Phil is a ‘seasoned video game enthusiast’. Westy is our token ‘Kiwi’ with over a decade of experience in the dive industry. During his years in the industry he has worked and operated various dive companies, from small day operations and over night tours, to the large leading dive companies in Australia. 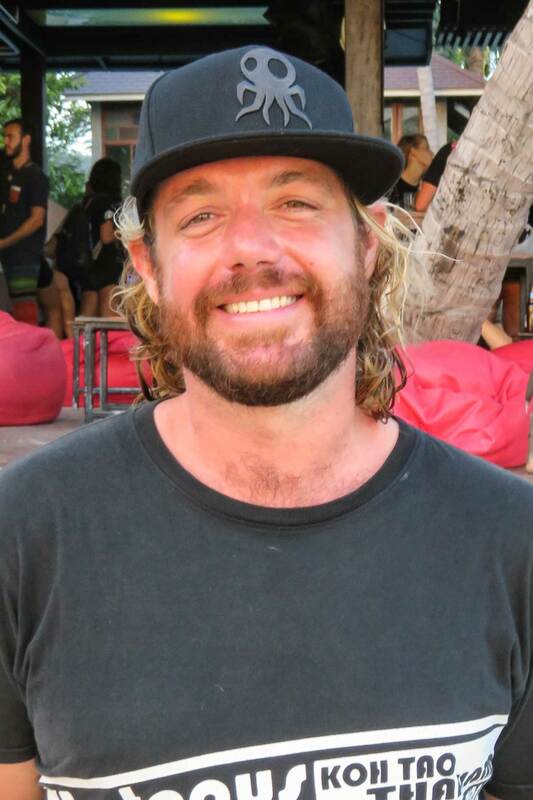 After Westy became an instructor he worked as a Trip Director for the biggest live-a-board vessel on the Great Barrier Reef. He also managed a whale shark interaction operation for two years in Western Australia. Westy has many certifications under his belt and brings a lot of outside experience to Roctopus. Westy strives to run Roctopus to the best of his ability and to satisfy each and every customer, with the help of the awesome Roctopus Team. Originally from the UK, just outside of London, Rachael left her busy job in the Emergency Department to travel SE Asia and Australia for 8 months. 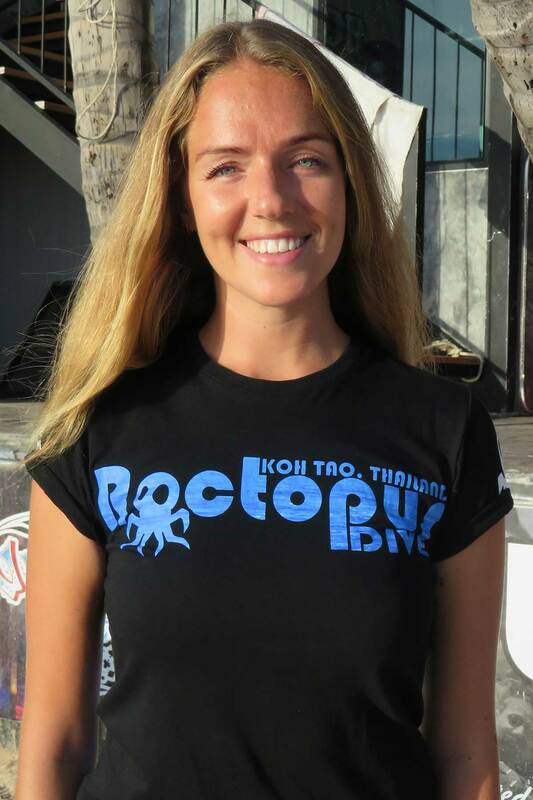 She arrived to Koh Tao mid-travels to do her 4-day Open Water Course and instantly fell in love with the diving and everything about the island. She has called it home ever since! 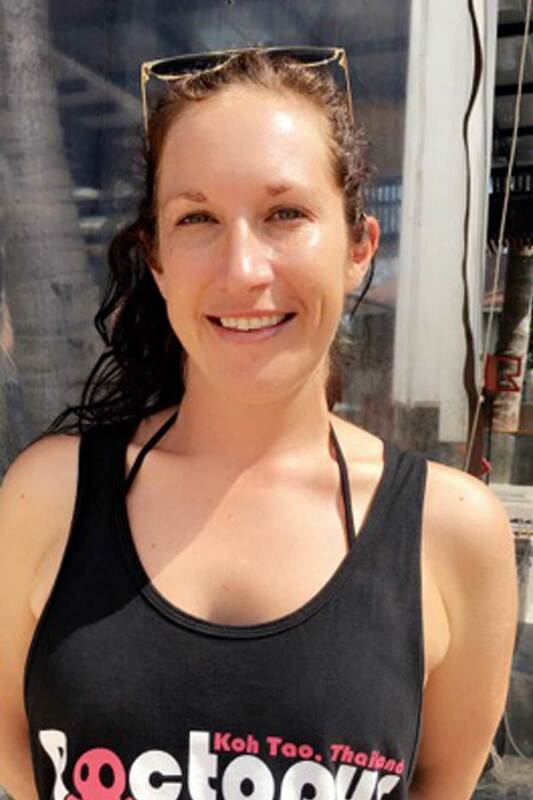 Rachael started working for Roctopus in 2015 on the beach as a Paddle Board girl before moving into the office onto the Reception and since 2017 has been our Bookings Manager. Rachael loves nothing better than relaxing with friends, is an avid chef and loves a good hike and snorkel around our beautiful paradise island!